Eric: Ah. The Friday after Thanksgiving. When you eat leftovers for dinner, then go stand outside in a dark field in 20 degree weather while your dog runs around, then come inside and realize you forgot to bring home any leftover dessert! So, I had a beer instead. As we’ve written before, Jack’s Abby started distributing to the NYC suburbs. Since I was up for Thanksgiving, I went on a Jack’s Abby run and brought back Jabby Brau, Kiwi Rising, Smoke and Daggers, and Lashes Lager. I’ll be reviewing them all in the coming seconds, minutes, hours, days, weeks, months, years, decades, centuries, millennium, ice ages, and eons. Oh and epochs, obviously. Tonight I had a Jabby Brau. It’s an American Pale Lager. I didn’t get much hops, but did taste yeast and a lot of malts. 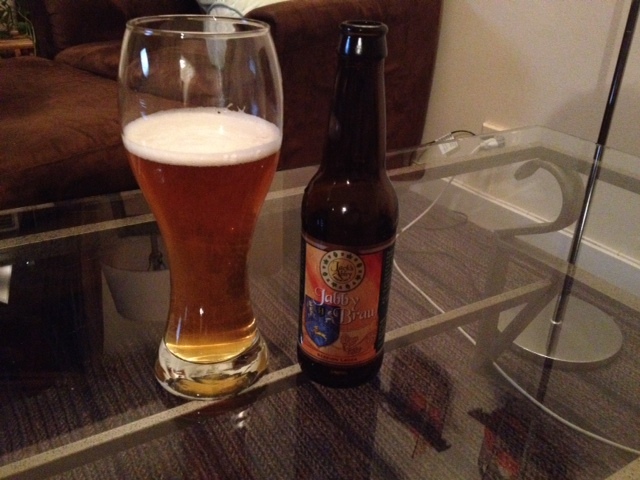 It’s actually very malty, which I normally don’t like, but since it was light and bubbly I actually really enjoyed it. And the low ABV at 4.5% made it really easy to drink, so I agree with them calling it a ‘session lager’. I think I’d enjoy this most as a light drink with dinner. Or with invisible Thanksgiving dessert leftovers. 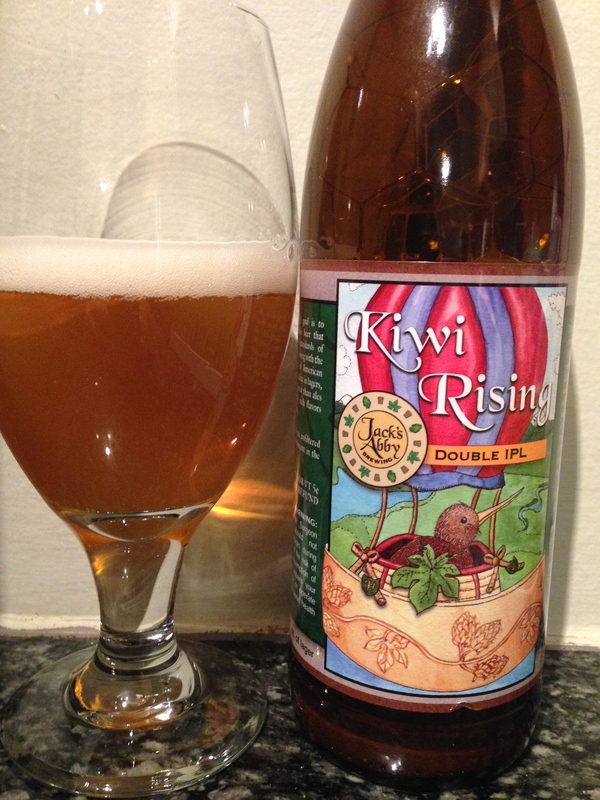 Andrew: I haven’t had the Jabby, yet, but I’m in love with the Kiwi Rising! One of the best new Imperial IP(A)Ls I’ve had this year. It’s made with Kiwi Hops that lend a ton of crisp citrus and grassy flavors. I think this is by far the best beer I’ve had from them. I also can’t get enough of the Hoponius Union, which was my favorite until trying Kiwi. I also like the Smoke & Dagger, and that says a lot because I’m not big fan of smoked beers—not overpowering smoke flavor. I would love to get my hands on their Sour Time when they release it next. I’m so glad to have Jack’s Abby accessible in the NY area now!